Most people think of a meat sauce when considering dishes such as spaghetti, lasagna, ravioli or Alfredo. A good sauce can make or break a pasta entree. But sauces without meat can be just as tasty and often are more heart-healthy. I’ll be the first to admit that a ground beef/Italian sausage tomato/marinara sauce is hard to beat when it comes to pasta, but my taste buds also crave a good sauce that is meatless. The following recipe falls into that category. 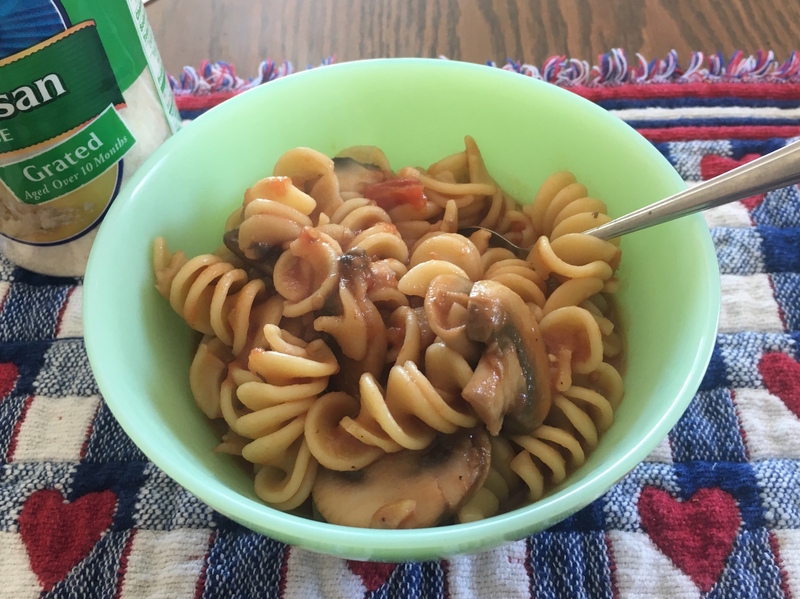 Rotelle with Mushroom Tomato Sauce is an easy-to-make dish that contains ingredients that most cooks have on hand in their kitchen pantry, and it takes less than an hour to have on the table. It’s also a good source of fiber and protein and less than 500 calories per serving. I’ll guarantee this will be on your go-to list if you give it a try. Bring a large pot of water seasoned with salt to a boil. Add the spaghetti and cook until al dente. Reserve a half-cup of cooking water. In a large saute pan, heat the olive oil over high heat. Add the shallot; cook until light golden brown, about 5 minutes. Add the garlic cook another minute to soften. Add mushrooms; cook until they release their liquid and it evaporates (about 8 to 10 minutes). Add wine, tomatoes and tomato paste. Season with salt and pepper to taste. Reduce heat to medium; cook until the consistency of a thick sauce, about 5 minutes. Transfer the drained spaghetti to the skillet with the tomato sauce, toss until coated. If it seems too thick, add pasta water as needed to loosen and serve.